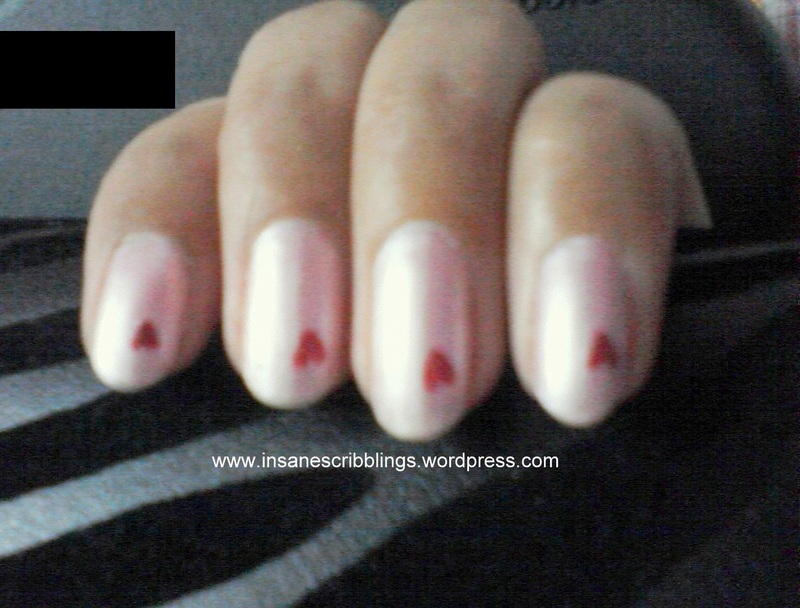 This nail art reminds me of ‘Little Hearts’ biscuits from Britannia. Delicious they are 😀 Hence the title. I was bored with all the blues, greens and other bright shades and wanted to have a ‘feminine’ color on my nails. So I applied a light peachy-pinkish shade. But then I thought- Hey! Small cute hearts would look pretty on it. And so this is what I ended up with. No nail art tools were used and everything is free hand. 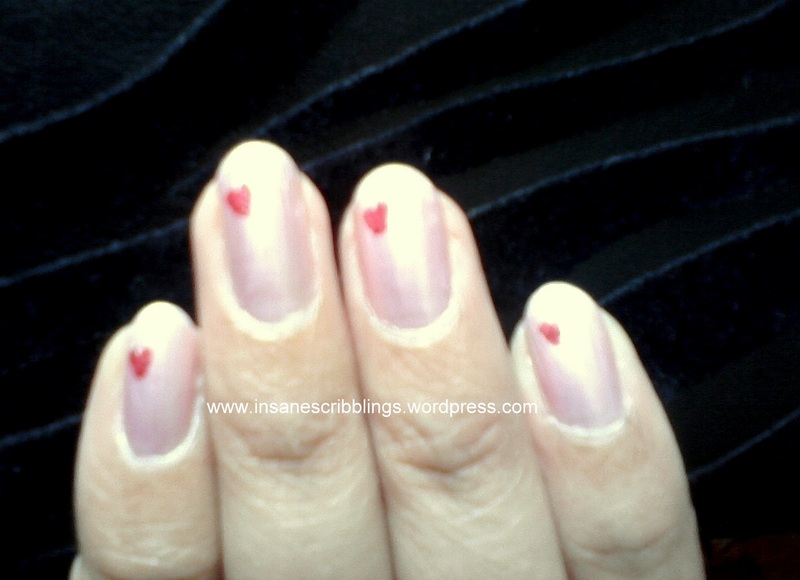 I will do a tutorial on an easy way to make such hearts later.